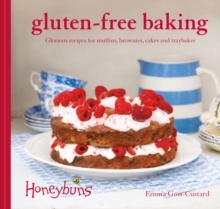 Gluten-free bakes can be every bit as delicious as traditional treats. 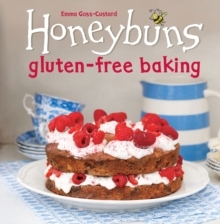 With a little know-how from Honeybuns, you can enjoy gorgeous cakes, muffins, brownies, flapjacks, biscuits and puddings that contain no wheat or gluten. 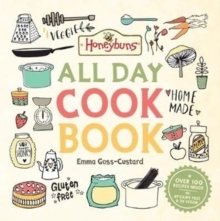 You'll find all your favourite teatime bakes, from Lemon drizzle cake and A very chocolatey cake to Baked apple muffins and Heathcliff brownies. There are lots of puddings too, including Baked lemon cheesecake, Chocolate and raspberry tartlets, Peach and raspberry roulade and Chocolate lime pie. 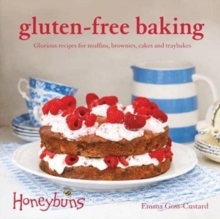 Packed with practical tips and with a guide to ingredients, this book gives you all the inspiration and advice you need to make your baking gluten-free and gorgeous!